Kajal--an Amrita SeRVe Health Worker in Nani Borvai, Gujarat--leads a morning yoga class for school children. 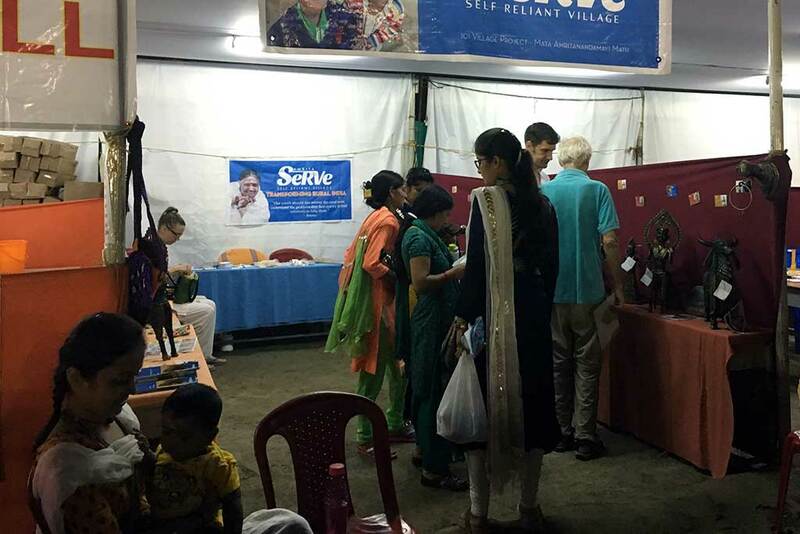 As thousands and thousands from all corners of the globe gather in Amritapuri to celebrate Mata Amritanandamayi Devi’s 64th birthday, 59 people from our villages across India have also arrived. Many spent 4-5 days in the train just to be here for the two-day event. Kajal is one of those for whom the journey was long, and with her came her one-year-old baby girl. Kajal is one of two Amrita SeRVe Health Workers in Nani Borvai. Her colleague is Seema. “When I first heard about the work as a health worker, it came from my internal voice. My heart. Yes, I have to do this work for my village,” says Kajal. And so she made the decision to come to Amritapuri in April 2016 to take the training. That was her first time meeting Amma. 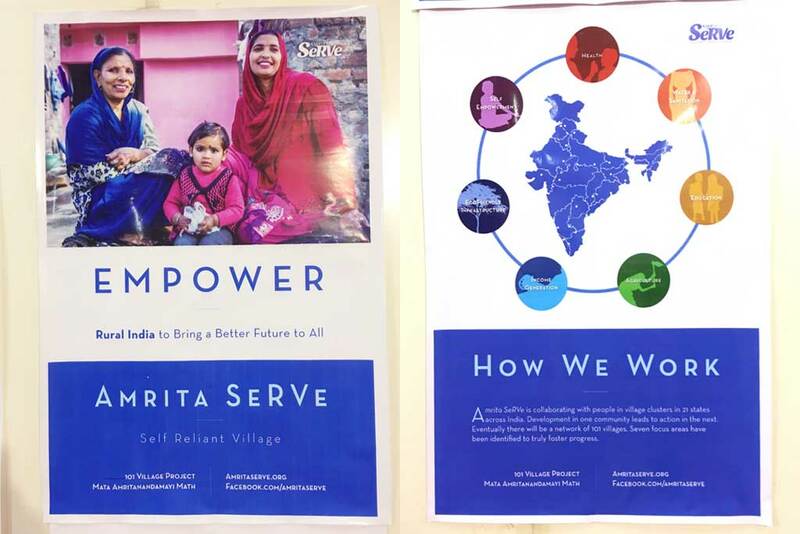 Since then she and Seema have lead several projects to improve the health and wellbeing of their family, friends and neighbours. They monitor the health of villagers on a daily basis, especially for children and pregnant women. When a big issue arises, they accompany the patient and family to the local public health centre, which is 1 km away, or the district hospital, which is 30 km away. 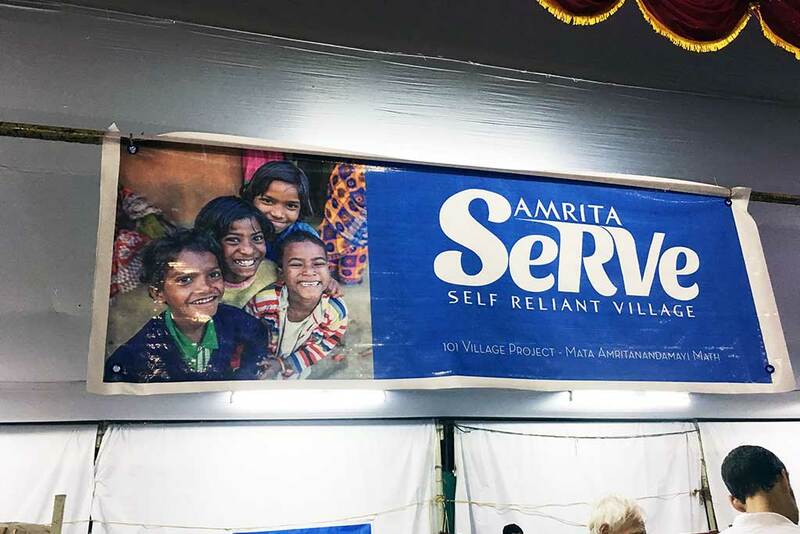 The Amrita SeRVe stall at Amma's 64th Birthday celebrations in Amritapuri. Kajal and Seema also teach yoga to school children, help villagers grow their own kitchen gardens so they have highly nutritional fruit and vegetables to eat, and organise weekly village trash clean-ups. “Before, there was no cleanliness in our village. Garbage everywhere. But now cleaning drives are happening every Sunday and it’s getting cleaner and cleaner. Pretty soon we will have the cleanest village!” laughs Kajal. They are leading Amma’s Amala Bharatam Campaign in the village. Kajal says the work is challenging and she does find it difficult sometimes. She is hoping for the chance to study health care more deeply, as it is such a large base of knowledge. Her biggest concern for the village at this time is the low access to toilets, as open defecation can cause a higher risk of illnesses like diarrhoea. For young children, that is life threatening. 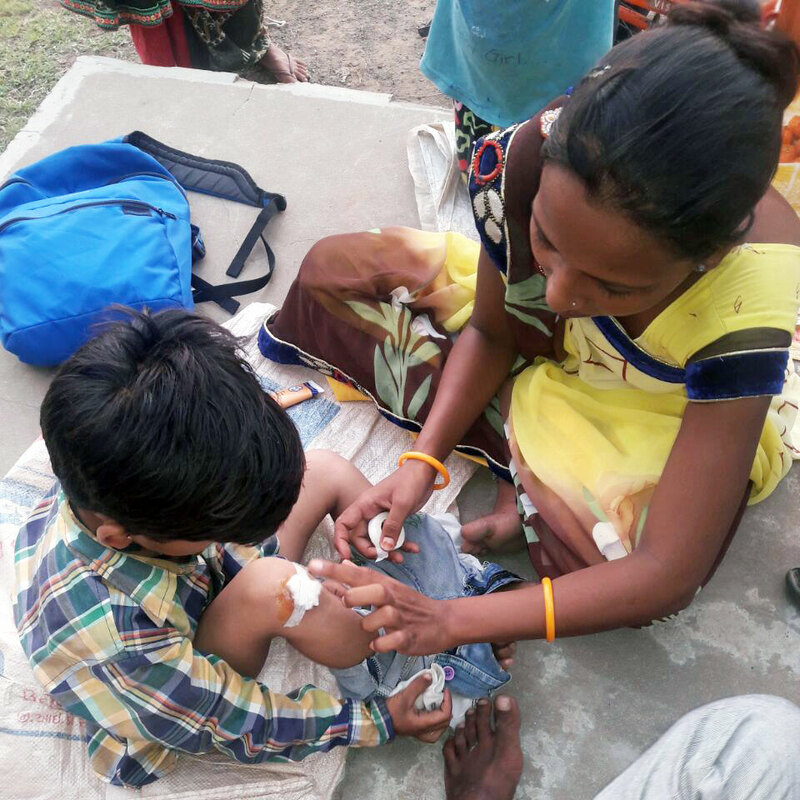 Kajal treats a little boy's leg wound. “At first we had no toilets at all. Then through Amma’s work, four have been built. 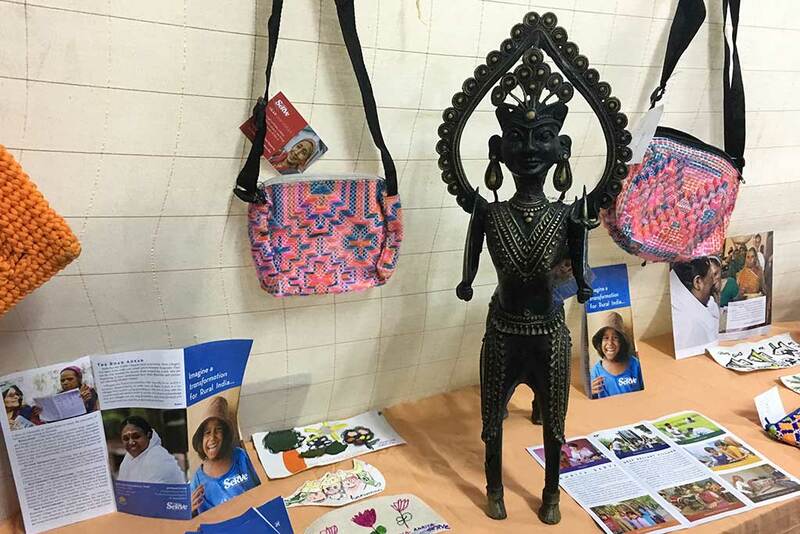 But we have 30 families in our village and need more,” says Kajal. AMMACHI Labs is leading the construction of toilets and plans for more are in the works. But on this very day, Kajal is just happy and grateful to be in Amritapuri for Amma’s birthday celebration. It will be the second time she receives Amma’s darshan.